VoIP apps have come a long way, and can now provide us with much more functionality than our carriers can when it comes to calls, often providing free options even when calling from a different country, and with a high quality connection too. Most of the best calling apps offer completely free calls if you get your friends and family to sign up with the same service so you can save on your monthly minutes or at least benefit from much cheaper call rates no matter where you are calling from or to. Here, we've pulled together the best BlackBerry VoIP apps that offer great features, are easy to use, and that will definitely save you money. 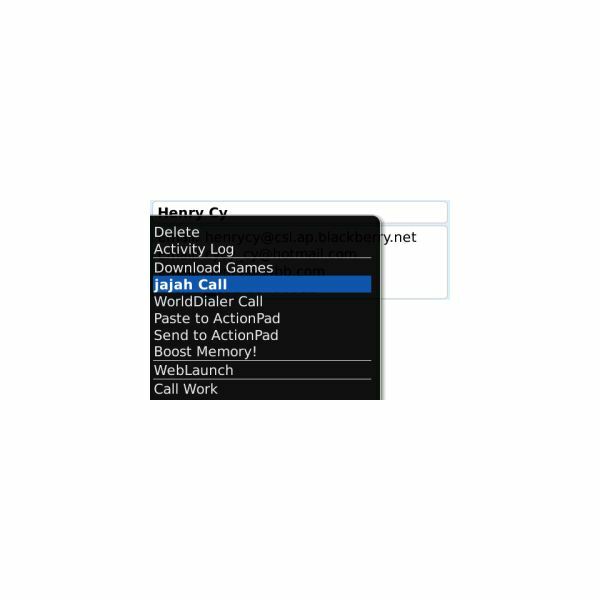 JajahCalls is one of the best VoIP apps in the BlackBerry App World for very good reason. The thing I like best about it is that you can check how much the call is going to cost you before you even make it, and you'll be amazed at just how much it saves you — the rates are highly competitive. What's even better, if your friends sign up for Jajah too then your calls between each other are absolutely free. You can also use it from your landline or between different mobile types too, so make sure you get your Android and iPhone friends on board and you'll save yourself an unbelievable amount. The app itself is not pretty, but it doesn't really have to be. It's definitely functional and is really easy to use which gets my vote above fancy graphics for an app of this nature any day. All countries are supported, and the list of supported BlackBerry devices is a lot longer than most other apps too — check on the App World page to see if your device is on the list. Rebtel is a calling app with a difference. If you get an allocation of calling minutes in your contract then this app allows you to make use of them even if you are calling abroad. You just need to call as usual, with Rebtel running in the background and it will do the rest. It's really easy to set up, understand and monitor — the menus and settings are really useful. You do need to buy some credit (although you get the first call free), but it is still likely to save you a lot of money, especially if calling internationally. Another big advantage here is that you don't have to worry about finding a suitable 3G connection or look for Wi-Fi access as it's essentially just business as usual when it comes to dialing, and the app sorts everything out for you. 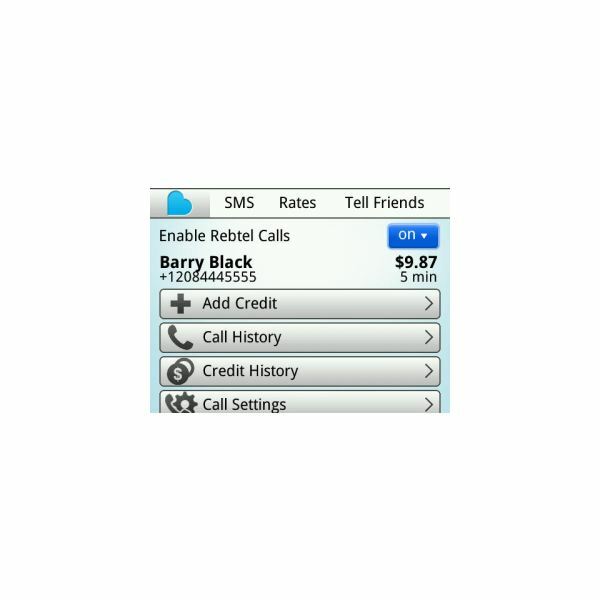 If you get your friends to sign up for Rebtel then you can get free calls even if they are in a different country. It's way, way cheaper than using your call for long distance with your carrier, and actually their rates are even cheaper than Skype too, which is quite a feat. There are a few downsides to such an app which means it won't be suitable for everyone. For one, the way it works is that it's an app that runs in the background so this can affect your battery consumption more than usual. 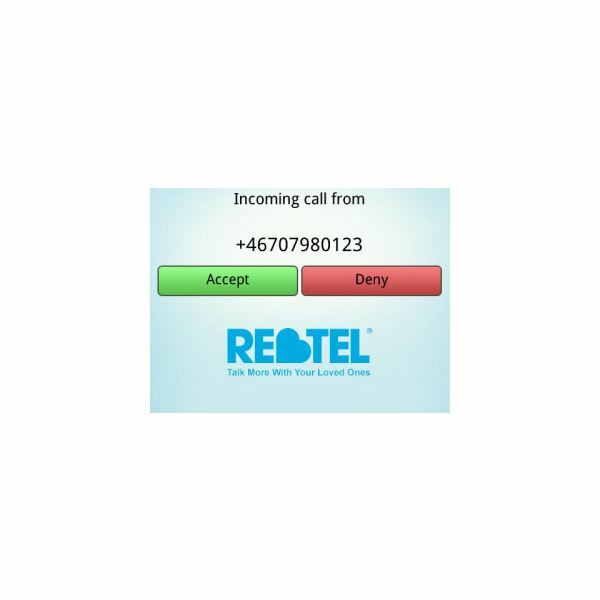 The second is that some users have reported problems with Rebtel not intercepting the call and still using their minutes even when it's a call to another Rebtel user which should mean a completely free call. The third is that you are essentially paying for a call twice (with your allocated phone minutes, and with your Rebtel credit), although depending on where you are calling this is still likely to be cheaper than using your phone to dial the number directly. Not only is the Vencall app free, it can also save you a whole stack of money. It's advertised as being a great option when travelling as you can avoid high roaming charges, but this needs to be taken with a pinch of salt. This is true only if you can find yourself a free Wi-Fi connection, otherwise data charges used getting a suitable connection would end up costing you a lot more when overseas than a call would be, so this is something to consider. 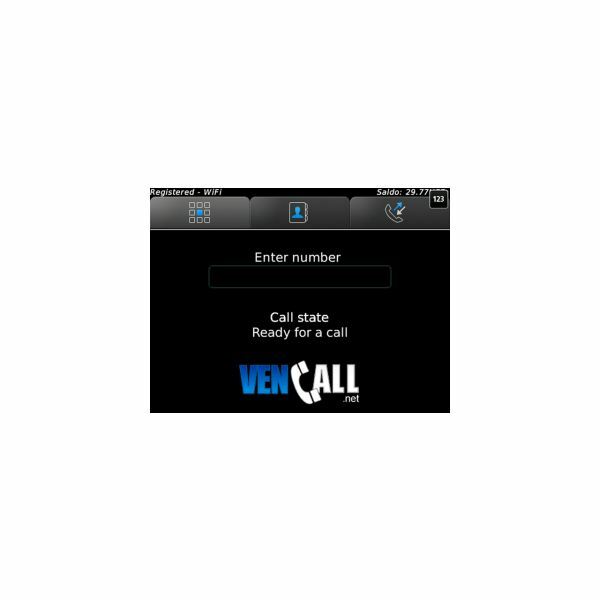 You need to sign up for a Vencall account, but again this is free. Simply enter in your login details once you've installed the app and you are good to go. There is also a huge list of countries where Vencall can be used — you'd be hard pushed to find a common destination that isn't included. The voice quality can be a bit hit and miss, but this is largely down to whatever connection you are able to get, which can be said of any VoIP service. There are also apps for Android and iPhone, so you can use it to connect with your friends if they aren't fans of the BB. The calls aren't free, but you're talking super low cost — the average being 2-5 cents a minute. If we've left out one of your favorite calling apps on BlackBerry then please leave a comment below.